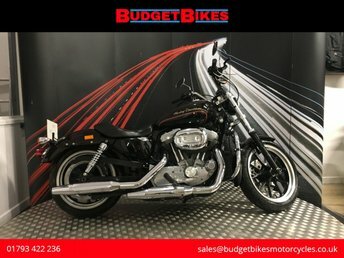 A stunning bike with incredible low mileage and just 1 owner from new. 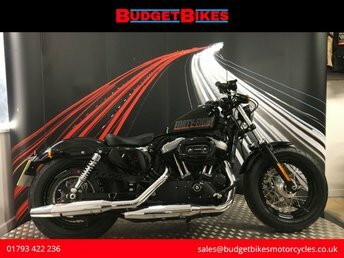 Only 3879 miles on the clock and fitted with a set of Vance and Hines exhausts, this bike is certain to draw attention. Mot'd until Feb 2020. Few names in the world of motorcycling carry the same weight as Harley-Davidson. For more than a century the American manufacturer has been producing premium bikes that never fail to stir the senses. 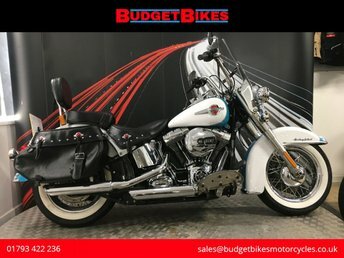 Here at Budget Bikes Ltd you'll regularly find a great choice of used Harley-Davidson models, from street bikes like the Street 750 and touring models such as the Road King, through to the iconic Fat Boy. 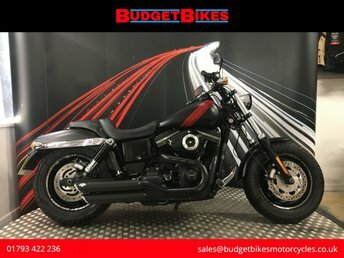 If you're looking for the best deals on used Harley-Davidson motorbikes for sale in Swindon, we're here to help. What's more, all our used bikes come fully inspected for your peace of mind. View our latest range here on the website and don't hesitate to contact a member of the team with any questions and to arrange a test ride.